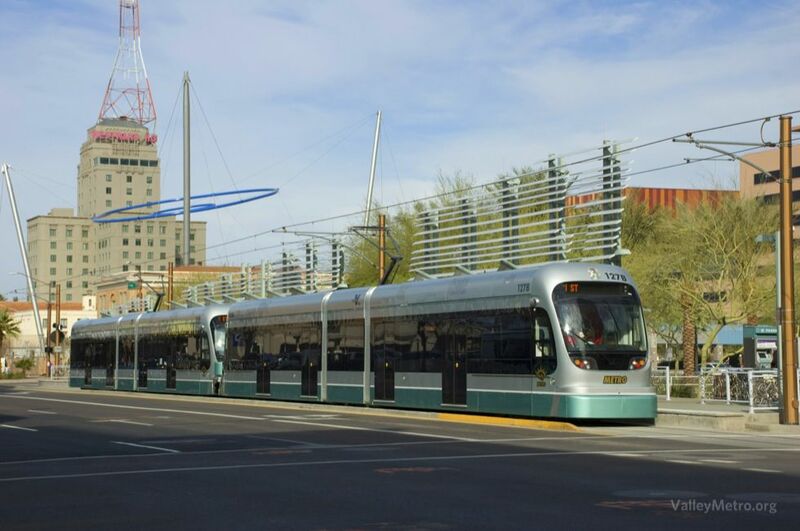 Transit corridors, including light rail (LRT), streetcar, and bus rapid transit (BRT), promote economic development around high-quality transit service while fostering a pedestrian scale in which walking and biking actively complement public transit. 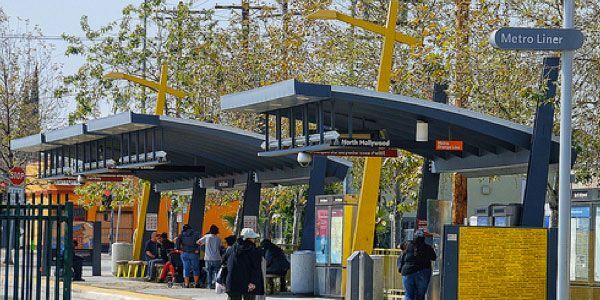 As major generators of pedestrian traffic, heavy surface transit routes should be prioritized for pedestrian safety improvements in both the immediate surrounding area and major access routes within the transit access shed. 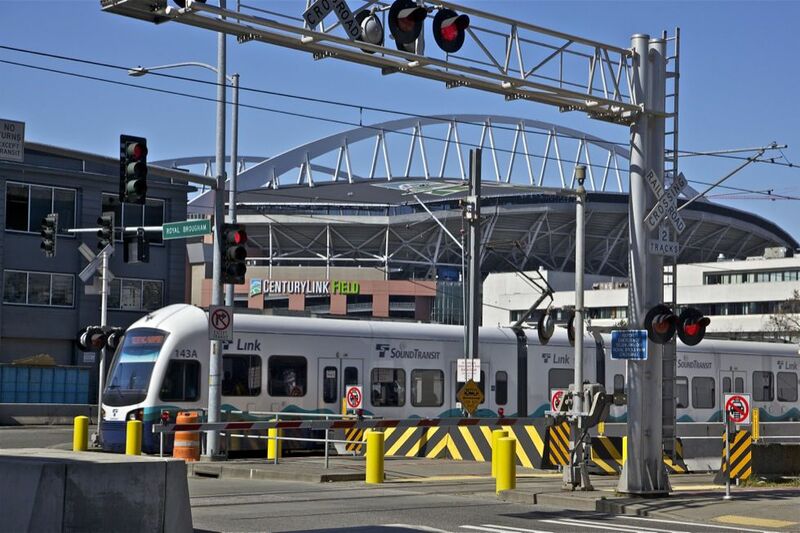 When redesigning streets for high-quality transit service, designers should assess how transit service is impacted not only by the geometry of the corridor, but also its existing signal timing, signal phasing, turns, and other operations that may jeopardize the quality of service. 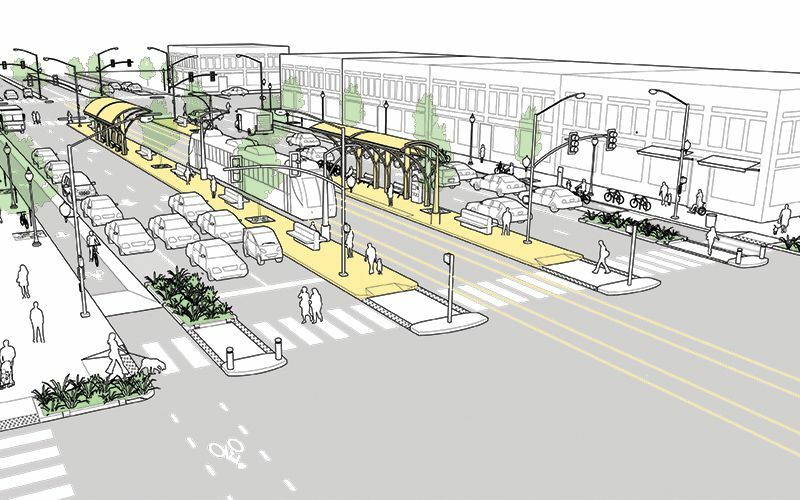 The street illustrated below depicts a 120-foot roadway within a 150-foot right-of-way. 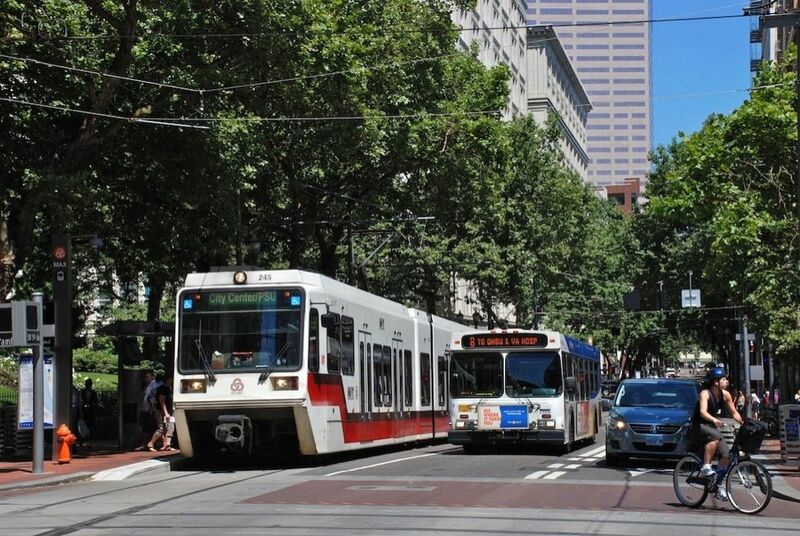 Transit corridor retrofits should be coordinated with land use changes to maximize a corridor’s potential for economic growth and physical transformation. 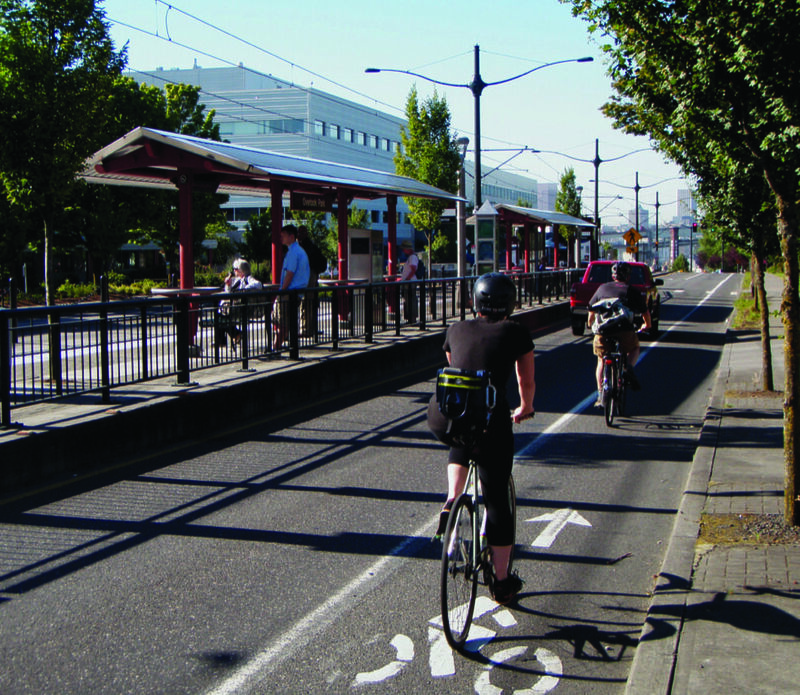 2 A raised cycle track on both sides of the corridor promotes the combination of bicycle and transit usage. 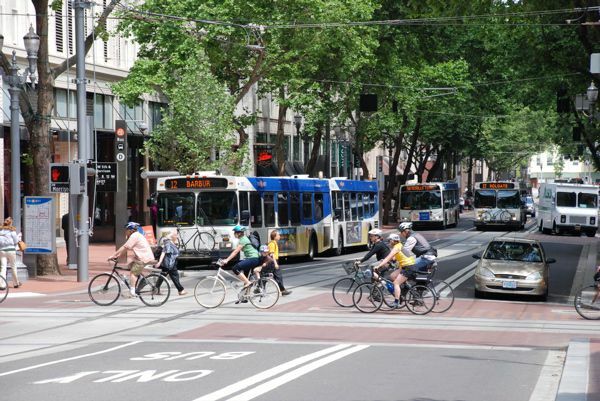 A center-running 1-way or 2-way cycle track may be preferable in some cases to reduce the dangers of turning conflicts in combination with transit. Enforcement measures should be put in place to discourage encroaching vehicles from using the dedicated bus lanes. In some cases, median transit lanes may serve as a route for emergency vehicles. Use of dedicated transit lanes by emergency vehicles or taxis may entail design consequences that decrease the effectiveness of transit service or allow other vehicles to more easily encroach into the dedicated lanes. 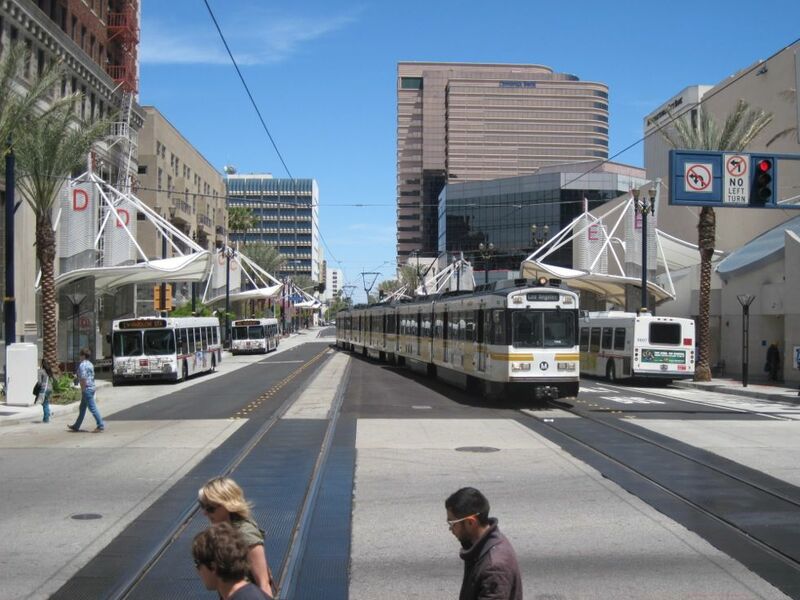 Wide transit corridors are challenging to cross in a single cycle. Consider the tradeoffs between shortening signal cycle lengths and providing sufficient time for all pedestrians to cross the street. 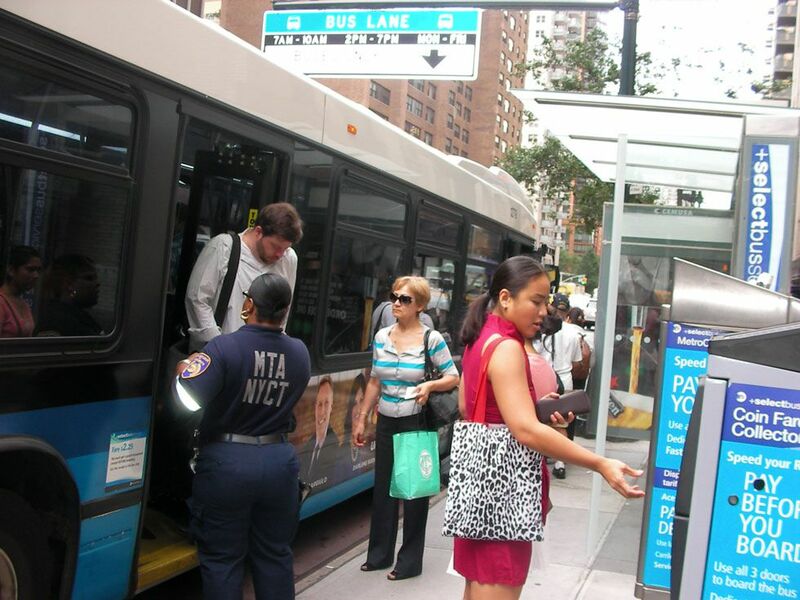 4 Off-board fare collection speeds up transit vehicles and reduces wait time for passengers. For more information on Transit Signal Priority, see Shireen Chada and Robert Newland, “Effectiveness of Transit Signal Priority,” National Center for Transit Research (2012) and Harriet Smith et al., “Transit Signal Priority: A Planning and Implementation Handbook,” (Washington, D.C.: Federal Transit Administration, 2005). 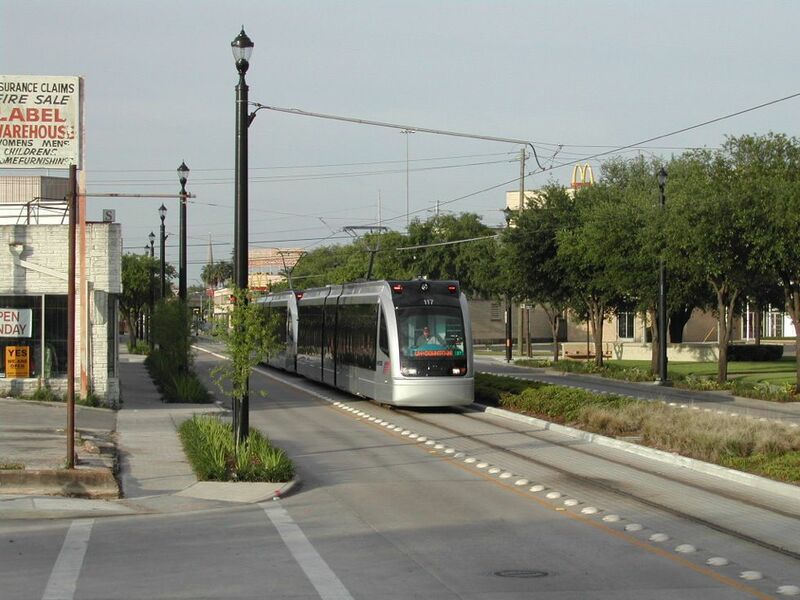 A side-running bus, streetcar, or light rail system may be preferable when adjacent land uses are heavily weighted toward one side of the corridor. 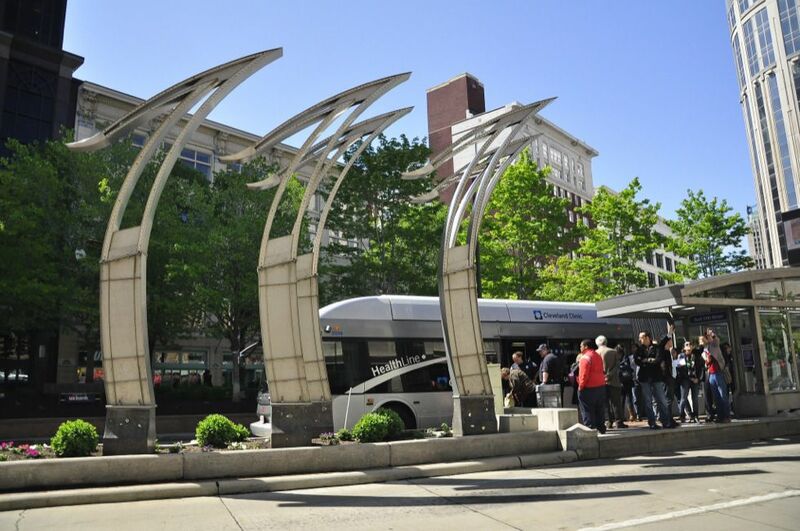 5 The design of a transit stop is an opportunity to reinforce the speed and desirability of the system. Shelters and stations should be built to accommodate the typical number of waiting passengers at the peak hour. Loading zones should be provided near the intersection in the floating parking lane to discourage double parking. American Public Transportation Association. 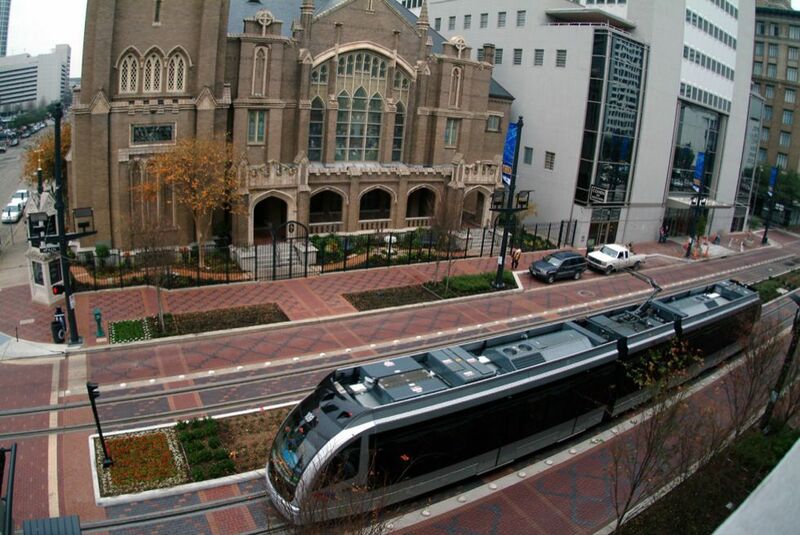 “Designing Bus Rapid Transit Running Ways.” APTA Standards Development Program, Washington, D.C., 2010. District Department of Transportation. 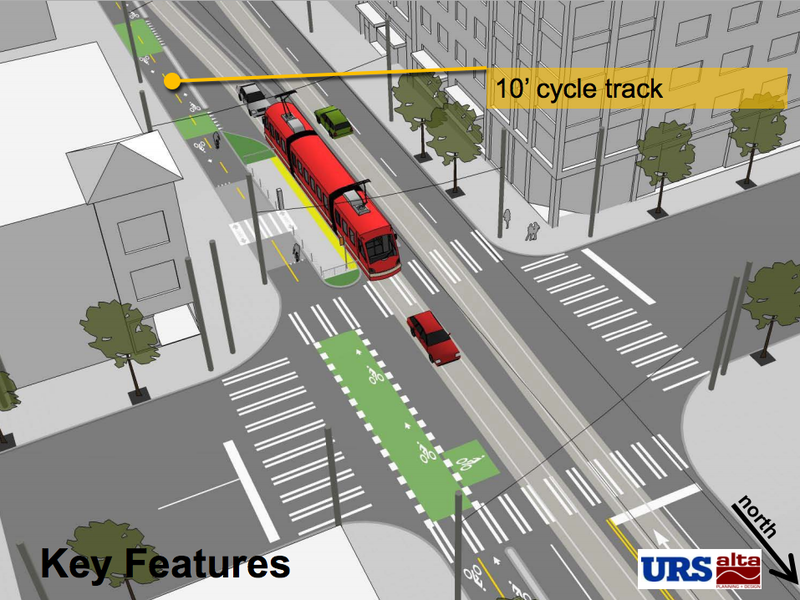 DC Streetcar Design Criteria. Washington, D.C.: 2012. Institute for Transportation and Development Policy. 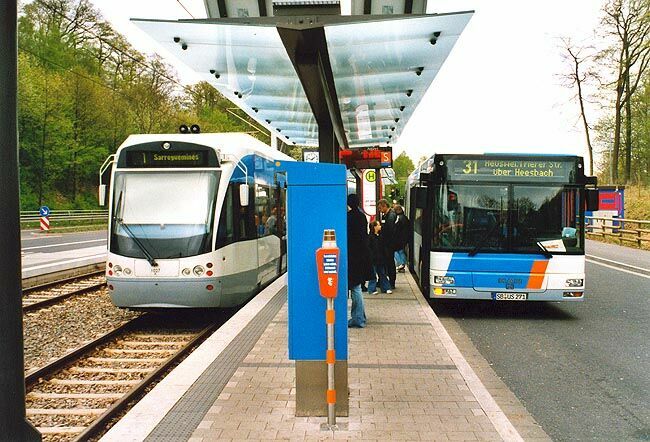 “Bus Rapid Transit Planning Guide.” ITDP, GEF, GTZ, UNEP, Viva for Cities, 2007. Kittelson and Associates, Inc., Herbert S. Levinson Transportation Consultants, and DMJM and Harris. 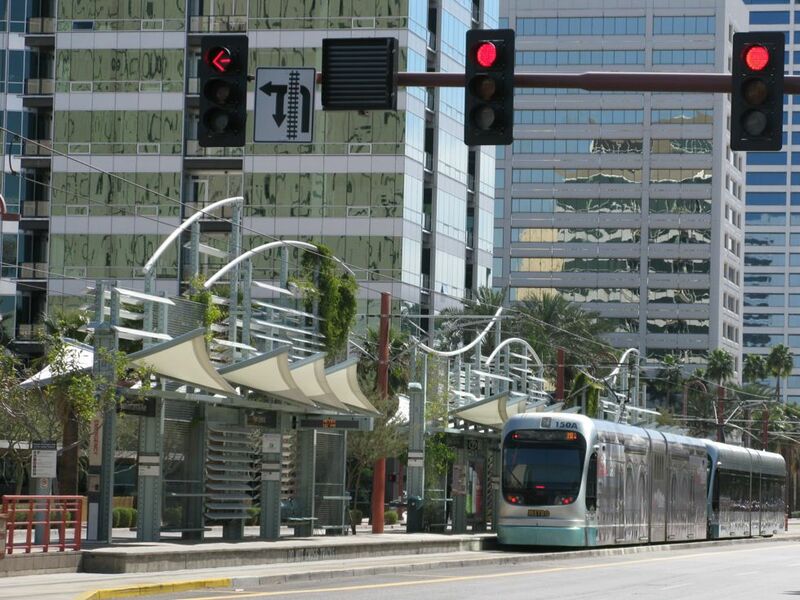 “Bus Rapid Transit Practitioner’s Guide.” Transportation Research Board TCRP Report 118 (2007): 1-256. Loukaitou-Sideris, Anastasia. 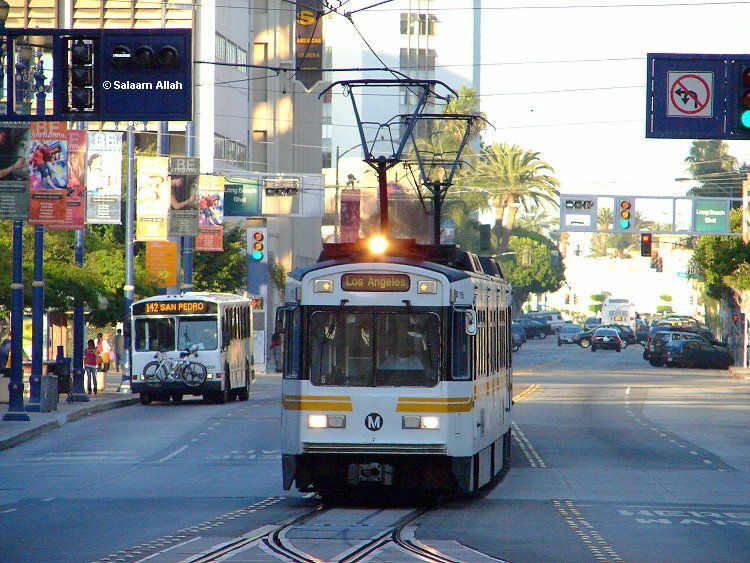 “Retrofit of Urban Corridors: Land Use Policies and Design Guidelines for Transit-Friendly Environments.” Los Angeles: Graduate School of Architecture and Urban Planning, University of California at Los Angeles, 1993. Panero, Marta, Hyeon-Shic Shin, Allen Zedrin, and Samuel Zimmerman. “Peer-to-Peer Information Exchange on Bus Rapid Transit (BRT) and Bus Priority Best Practices.” New York: New York University/Wagner, Rudin Center for Transportation, Policy and Management, 2012. Regional Transportation District. “RTD Light Rail Design Criteria.” Denver: Engineering Division, Regional Transportation District, 2005. Thurston Regional Planning Council. 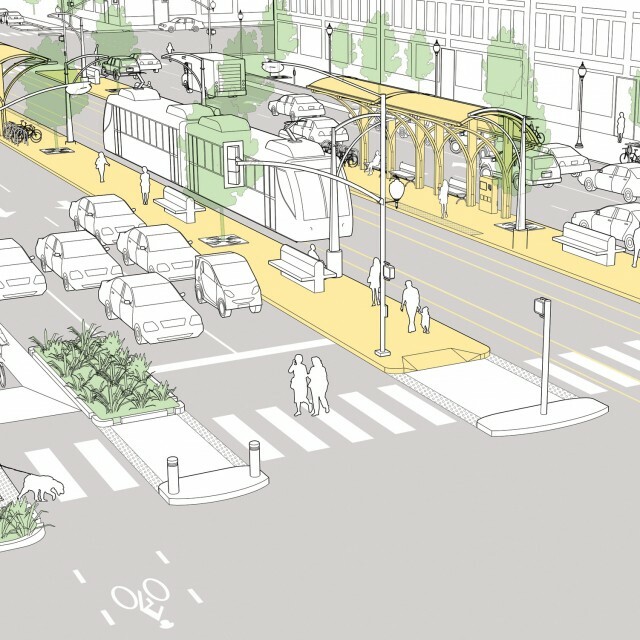 Revitalizing Urban Transit Corridors. Thurston: 2012. VTA Transit. 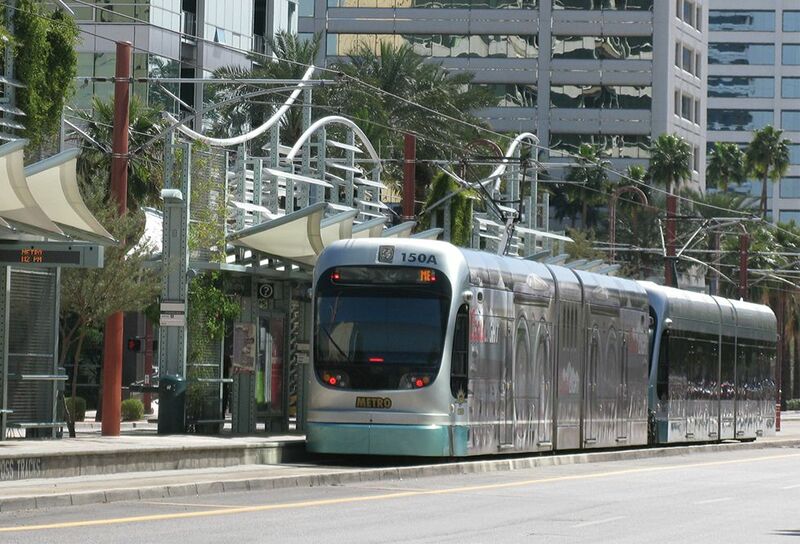 “LRT: Light Rail Transit Service Guidelines.” Sustainability Policy (2007): 1-32. References for Transit Corridor: 12 found. Wright, Lloyd, & Walter Hook. 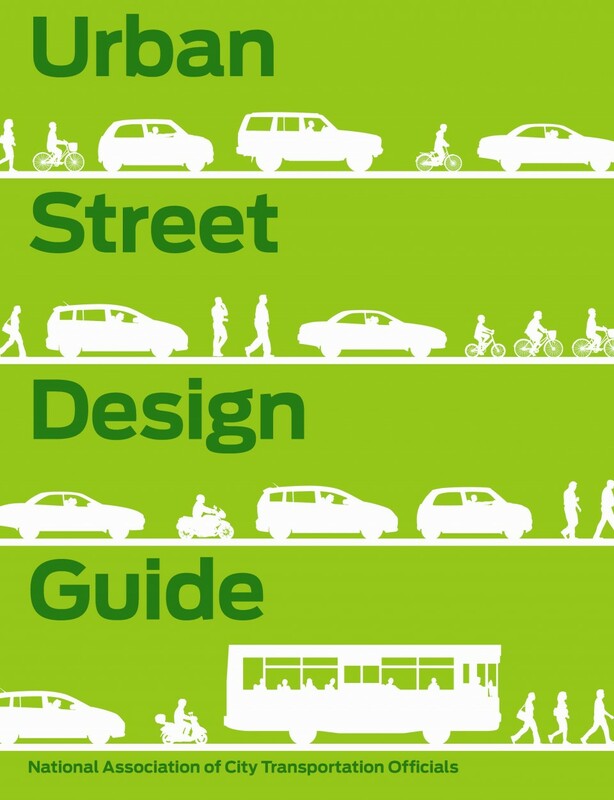 "Bus Rapid Transit Planning Guide." ITDP, GEF, GTZ, UNEP, Viva for Cities, Institute for Transportation and Development Policy, New York, NY. Kittelson and Associates, Inc, Herbert S. Levinson Transportation Consultants, & DMJM and Harris. 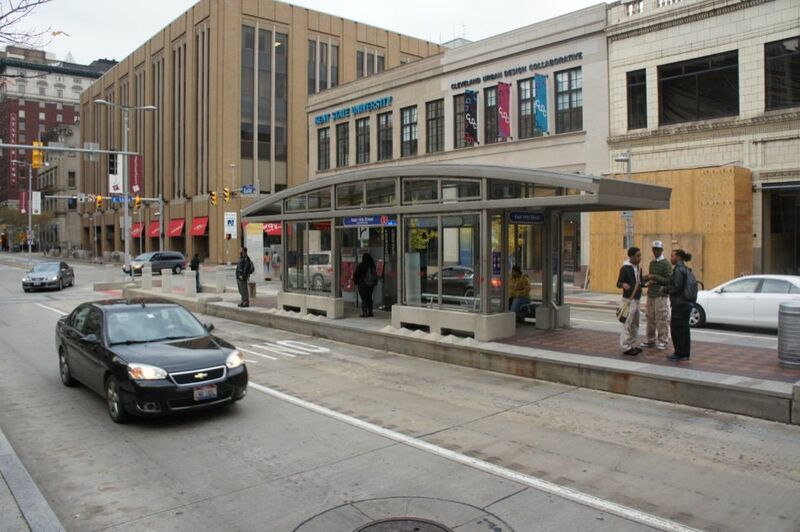 "Bus Rapid Transit Practitioner’s Guide." TCRP Report 118 1-256, Transportation Research Board, Washington, DC. Bellamy, Terry & Ronaldo Nicholson. 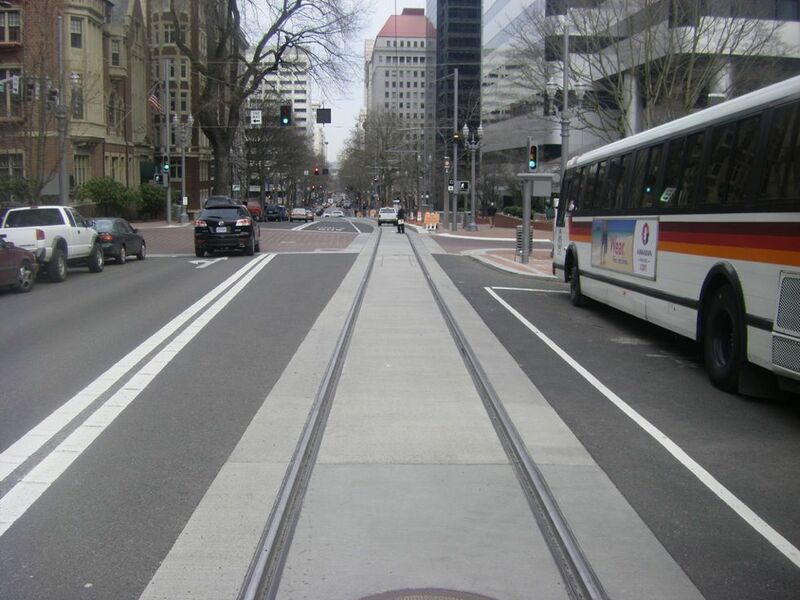 "DC Streetcar Design Criteria." District Department of Transportation, District of Columbia, Washington, DC. VTA Transit. 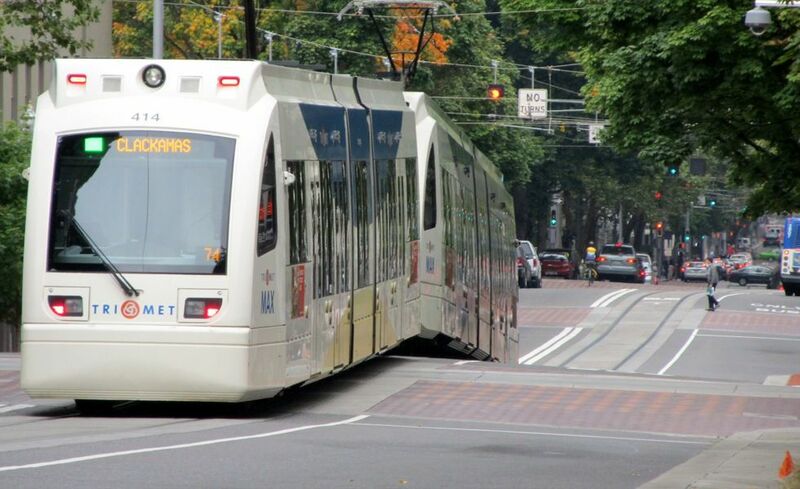 "LRT: Light Rail Transit Service Guidelines." Sustainability Policy 1-32, Santa Clara Valley Transportation Authority, San Jose, CA. Loukaitou-Sideris, Anastasia. 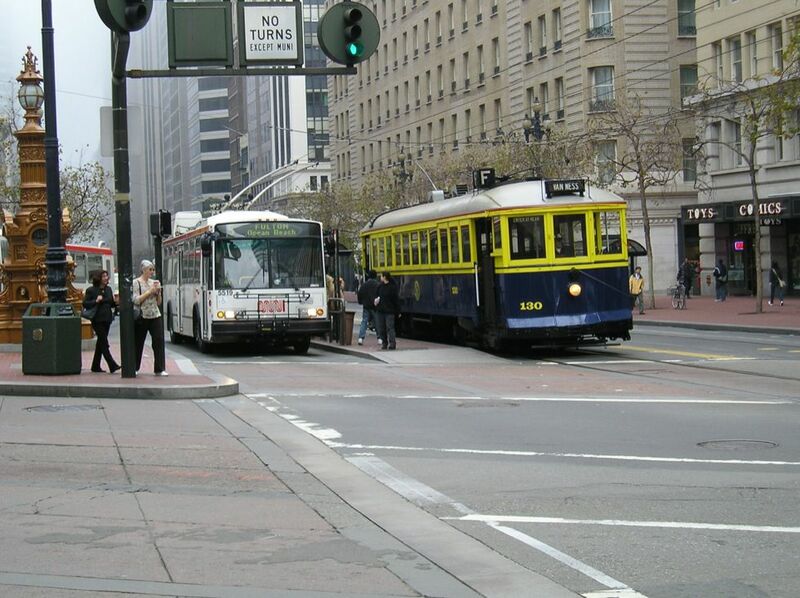 "Retrofit of Urban Corridors: Land Use Policies and Design Guidelines for Transit-Friendly Environments." Graduate School of Architecture and Urban Planning, University of California, Los Angeles, CA. Black, Thera. 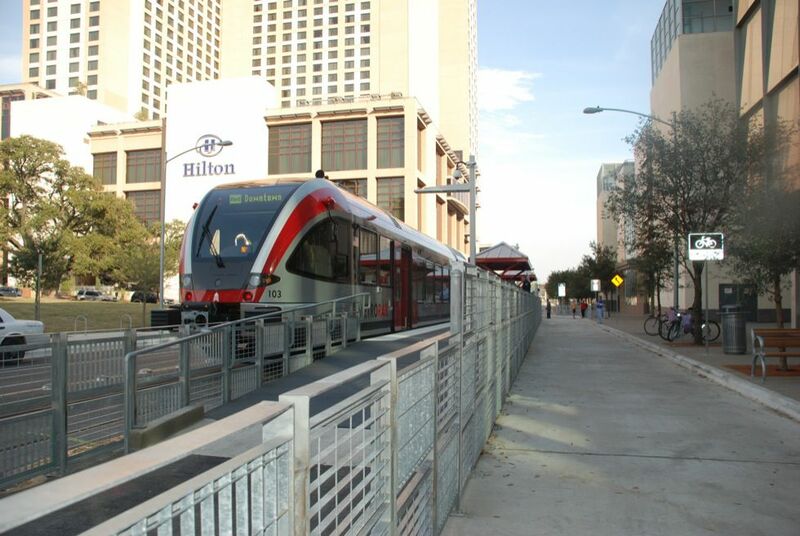 "Revitalizing Urban Transit Corridors." Department of Public Works, Thurston Regional Planning Council, Olympia, WA. Regional Transportation District. 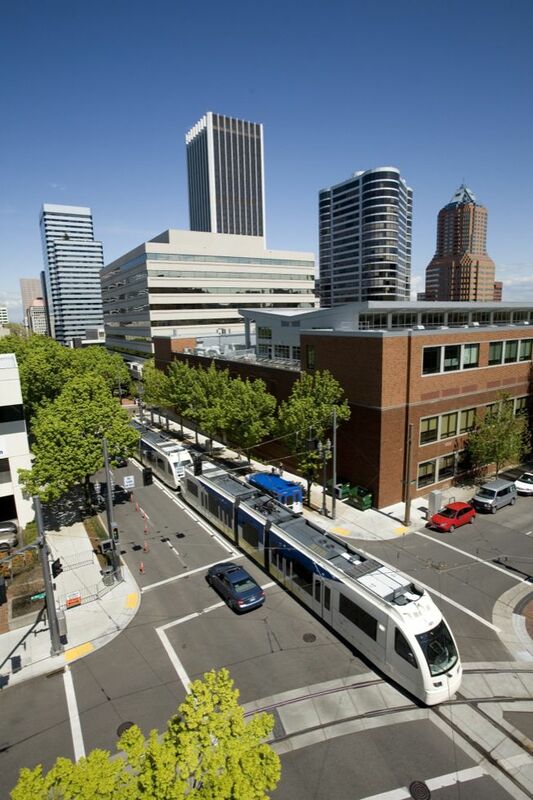 "RTD Light Rail Design Criteria." Engineering Division, Regional Transportation District, Denver, CO.